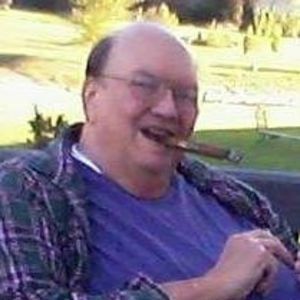 James Harold Waters, 78, of Ankeny, Iowa, passed away on December 30th, 2018 peacefully surrounded by his family. A funeral service will be held 11:00 a.m., January 5, 2019 at Ankeny Memorial Gardens (4208 North Ankeny Blvd) with graveside service to follow. A visitation will be held from 9:30 a.m. to 11:00 a.m., prior to the service. Pastor Owen Cayton of Ankeny Christian Church will be officiating. James was born in Des Moines, Iowa on February 24th, 1940. Jim lived his early years on the east side and attended Brooks Elementary where he acquired a lifelong love of the Iowa State Fair. He graduated from Lincoln High School in 1958. Jim attended Grandview College, the University of Iowa, and Drake University. He graduated in June of 1968 with a BA in political science from Drake University. He then attended law school and graduated from Drake in May of 1971. Jim married Susan Reiling on May 14th, 1988; they were married 30 years. As a child he was very involved with boy scouts. He loved his 1940 Ford, football, NASCAR, dogs, cats, and spending time with family and friends. Everyone who Jim came in contact with became a good friend. He was the kindest man and would help anyone at any time. He spent his free time traveling to car shows, races, and ISU games. He was a member of the Elks club of Ankeny, Iowa Bar Association, Doberman Pinscher Club, and The Hot Rod Association. James is survived by his daughter, Jean (James) A. Glentzer; two stepsons Jesse (Danna) Saathoff and Ryan (Rosie) Saathoff; and 7 grandchildren Traci (Chris) Glentzer, Alyssa, Caden, Joe Jack, Calvin, Mary, and Canton. James is preceded in death by his wife Susan Jane (Reiling) Waters, parents, James Henry Waters and Tillie Matilda Tipton, and sister, Agnes Waters. In lieu of flowers memorial donations may be given to two of Jim's favorite organizations; Doberman Pinscher Club of Greater Des Moines (301 North Street, New Virginia, IA 50210) or Animal Rescue League of Iowa, Inc; Attn: Donations-5452 NE 22nd Street Des Moines, Iowa 50313. I knew Jimmy through the legal world. He was an established lawyer when I started. Jimmy was a nice guy and never took advantage of a young lawyer that didn't know a thing about the practice of law. As years past we had many cases together and he was always a pleasure to work with. Jimmy will be missed. The world would be a better place with with more Jimmy Waters in it. God bless you Jimmy. I will miss Jim,his legal advice his jokes. I Have known Jim for over 35 years. It's a very hard loss to know that his kind heart plus all that knowledge is gone to the heavens. I will miss you Jim alot! Jim was a good friend to my dad, Doug Goodell, for many years and I have a lot of fond memories of that time. Sorry to hear about Jim's passing. He was our families attorney for many years. He was always willing to help us out and provide any legal advice/services. He was a sweet friendly and funny guy that was loved by many. Jim was a big guy.....very big! He had to be, I guess, to house that big heart of his. When my classmates and I began law school, not without a good measure of trepidation and anxiety, we were fortunate to have the Senior, Jim, who gladly went out of his way to "mother hen" and mentor us through the process. This didn't end with law school, either. Jim was a bright guy who knew what he was doing and out in the practice, if you needed advice from a peer, he was always a willing ear you could depend upon. I've been on the planet 70 years now and I've never met a nicer, kinder or more pleasant person to be around, and I mean that from the bottom of my heart. Jim.....miss you, buddy! Thanks for being my friend!!! So sorry to hear of Jim's passing! He was a bright light in the legal community and I always enjoyed having cases and mediations with him. He always had a smile and was upbeat and truly cared about his clients. He will be missed.May God bless his family with strength and peace during this very sad time. So sorry for your loss. Mr Waters was our attorney. He was always so very kind. Prayers to the family. May all the Dobies watch over you!